“Thriller Live” Moonwalks past another Thrilling milestone! 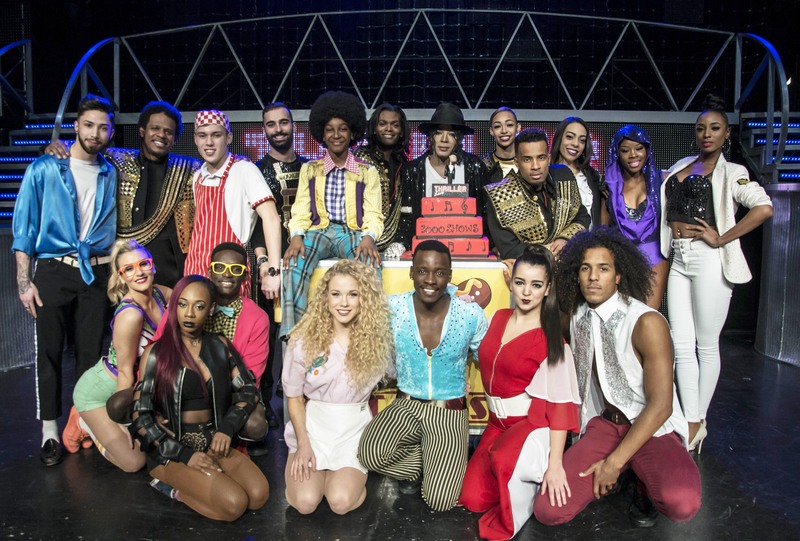 The cast of Thriller Live celebrated in style last night as the show marked its 3,000th performance in the West End with a spectacular cake and an American-themed party at Planet Hollywood. Thriller Live opened to critical acclaim at the Lyric Theatre in the West End on January 26, 2009 and this week played its 3,000th record-breaking performance there! The cast and creative team celebrated the news with a 3-tier cake topped with a figure of Michael Jackson himself. Thriller Live is unlike other West End musicals. There is no script or story, it is instead a eye-popping spectacular concert celebration of Michael Jackson’s music and dance legacy, bringing to life on stage his distinctive high-energy dancing and the pulsating sound of many of pop’s greatest hits. The show changes each year with new numbers added, and features specially created video footage and effects and dazzling choreography by the show’s award-winning director, Gary Lloyd. Thriller Live recently passed Tim Rice and Andrew Lloyd Webber’s Evita, which opened in 1978, to become the 17th Longest Running West End Musical of all time. It has now been been seen by over three million people worldwide and is currently touring the UK. Thriller Live has taken more than $150million at the global box office and continues to set and break records and visit new territories. To date it has now performed to standing ovations in 32 countries from South Korea to Norway, and South America to China. In London, Thriller Live is also the longest-running production in the Lyric Theatre’s 125-year history. It moonwalked into the West End after three acclaimed UK tours. When Michael Jackson died, the Lyric became a focus for fans from all over the world, who created a massive shrine of flowers, candles, and tributes. The current West End cast includes: Jordan Alexander, Alex Buchanan, Trenyce Cobbins, Dajiow, Haydon Eshun, Ryan Shaw, Britt Quentin, Brittany Woodrow, Cordell Mostellar, Aisling Duffy, Leslie Bowman, Joshua Ivey, Florivaldo Mossi, Steven Thompson, Ebony Clarke, Leah Hill, Alex Jackson, Rebecca Jones, Victoria Lamm, Arnold Mabhena, Helen Parsons, Thomas Remaili, Chantè Simpson, Aled Arhyel Charles, Joshua Cameron, Remi Goodin, Daniel Odejinmi, Zuriel Kabasomi-Williams.